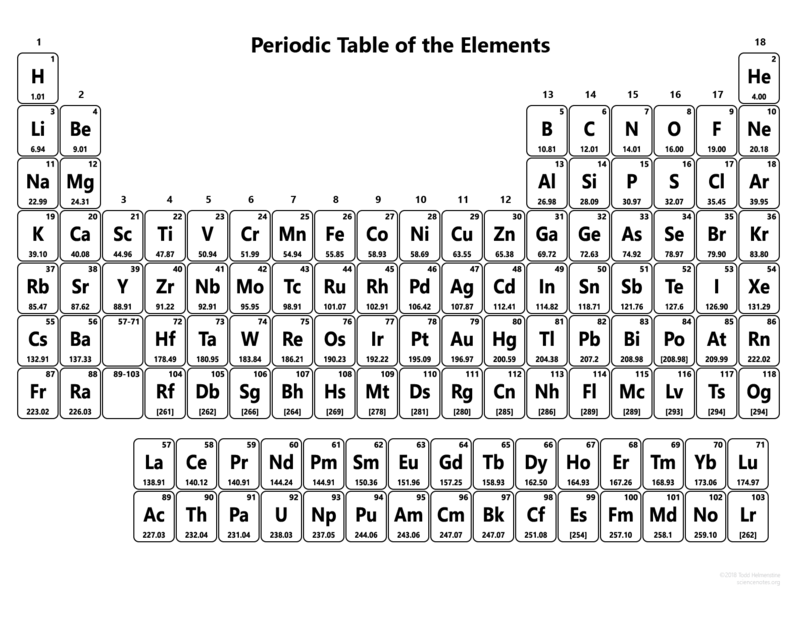 Here is a 118 element periodic table without names of the elements included on the table. 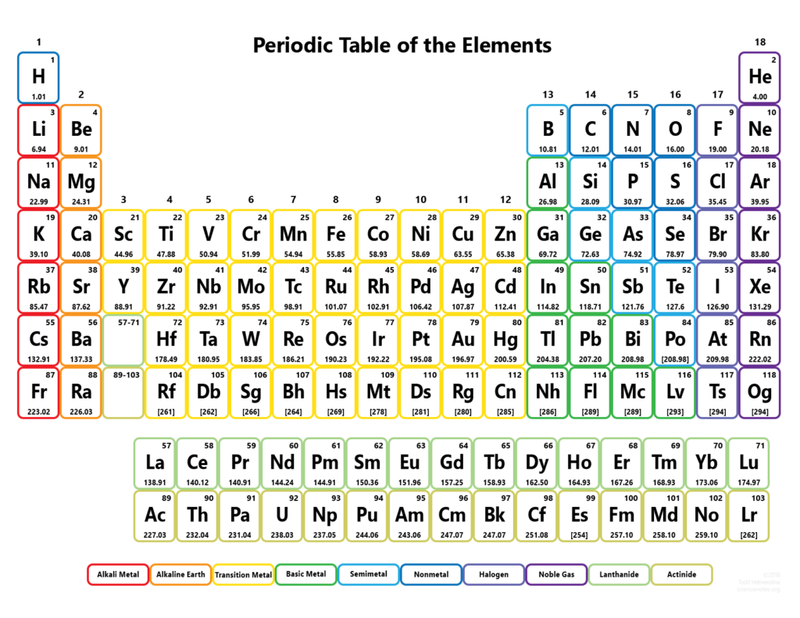 The first table is a color version of the periodic table without the element names included. This table has the atomic numbers, element symbols, and atomic masses rounded to two decimal places. The colors correspond to the element groups with a handy key at the bottom of the page. I’ve included a PDF to make printing easier. The table is optimized to fit on a standard 8½ x 11″ sheet of paper, but scales nicely to fit other sizes. This table is for people without color printers or just want to save color ink. It has the same information as the color periodic table without the color groups for the element groups. This table has a PDF available for printing. Check out our many other printable periodic tables and periodic table wallpapers.